Published on July 9, 2018. The National Trust has objected to the proposed demolition of a historic Masonic Hall, a prominent landmark on Melbourne Road in Newport. The current proposal for a 5-storey mixed-use development follows a 2013 application which was refused by Council, a decision which was upheld by VCAT. The neo-Grecian building was designed by architect Joseph Plottel and constructed by JH Whitham in 1924-25, and is recognised in the Hobsons Bay Planning Scheme as having local historic, social and aesthetic significance. 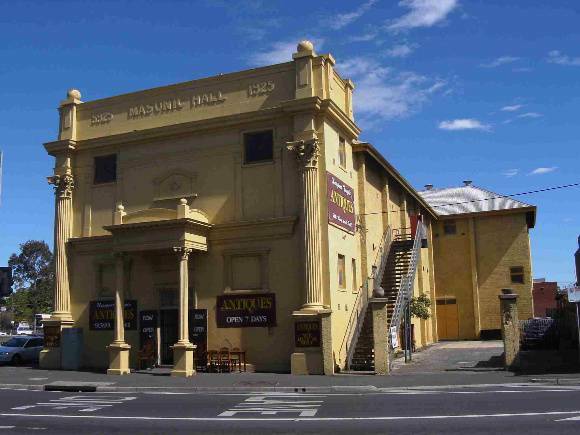 The subject site is affected by two heritage controls: HO22 includes the site in the Newport Civic and Commercial Heritage Precinct; and HO197 imposes a site specific control over the Masonic Temple, including external paint controls and internal alteration controls. The building is currently derelict, and the structure has been significantly compromised by concrete cancer. In a structural assessment prepared by Beauchamp Hogg Spano to accompany the application, the author notes that “the building has received very little maintenance over the years, which is a primary contributor to the deterioration”. The National Trust has concerns that the condition of the current building is a case of “demolition by neglect”, and is is unclear whether works have been undertaken to stabilise and maintain the building following the refusal of the earlier permit application for the site. While we acknowledge the significant structural issues identified in the Structural Assessment, the report does not rule out the reconstruction of the building according to Burra Charter principles and its incorporation in any new development. 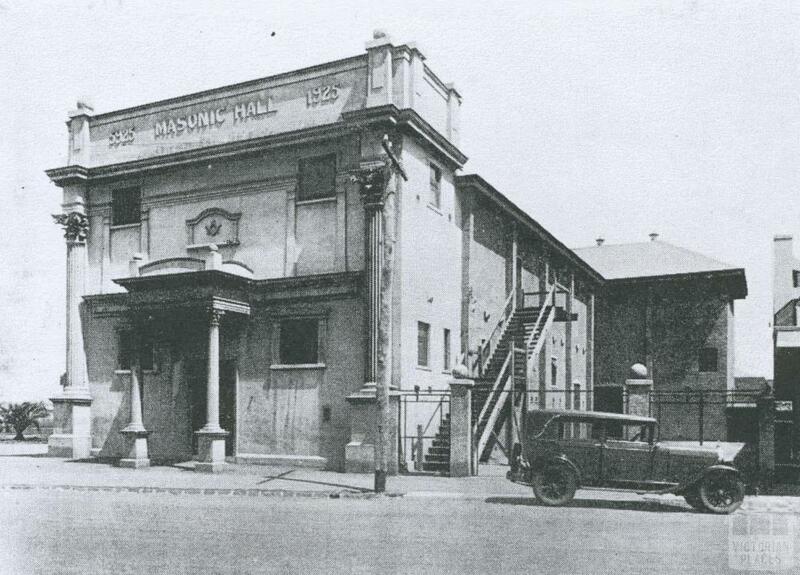 Newport Masonic Hall, 1934. John Young Collection, in The History of Williamstown from its first settlement to a city 1834-1934. Best to keep it. It is a unique landmark and part of our heritage, Wow a a 5-storey mixed-use development where could anyone find something like that in Melbourne. Too many buildings lost to developments. Height rise apartment’s popping up everywhere, but how many Masonic lodge Halls still standing?